The 034Motorsport Turbo Muffler Delete is a bolt in replacement for the OEM turbo muffler. The OEM piece is designed to reduce the level of sound generated by the turbocharger. 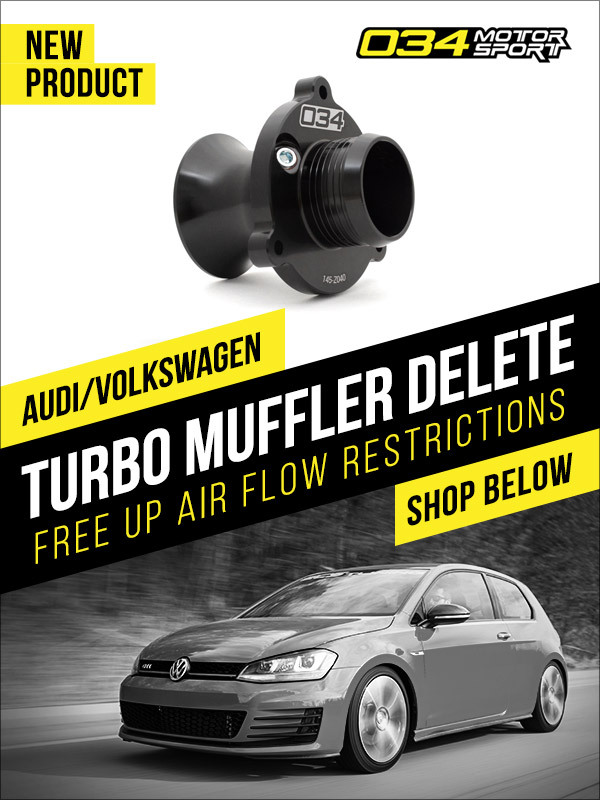 The 034Motorsport Turbo Muffler Delete replaces the internal baffles of the OEM part with a sealed, smooth-walled, machined billet design, allowing the driving enthusiast to hear more of those wonderful turbo sounds. up to 25% off CTS Turbo Performance Upgrades! Quick Reply: NEW! 034Motorsport Turbo Muffler Delete With Test Ports!